Shakespeare in High Park–Canada’s longest-running outdoor theatre experience–has commenced its 36th season of outdoor magic! This year’s programming features adaptations of two classic tales: Romeo and Juliet and A Midsummer Night’s Dream. 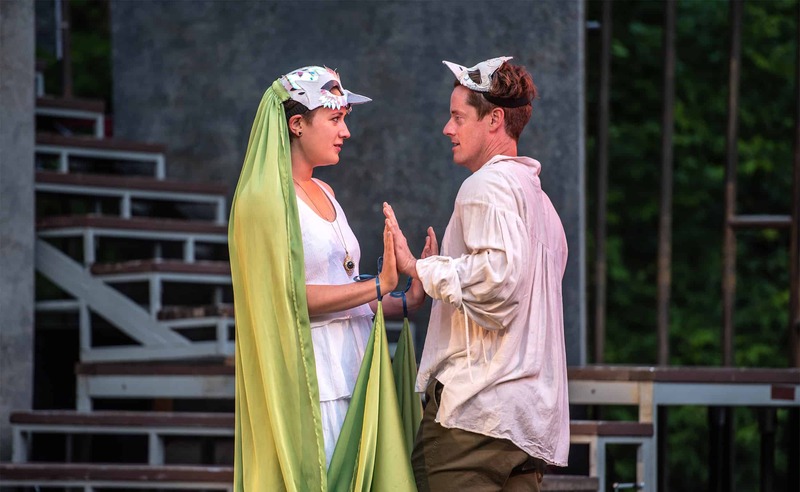 Whether you’re spending a night out with friends or wanting to shake up date night, Shakespeare in High Park is an absolute must-do summer night attraction in Toronto. Presented by Canadian Stage, Shakespeare in High Park takes place at the High Park Amphitheatre. Romeo and Juliet runs Tuesdays, Thursdays and Saturdays at 8:00 p.m. until September 2; A Midsummer Night’s Dream runs Wednesdays, Fridays and Sundays at 8:00 p.m. until September 2. Entry is PWYC or you can reserve a premium seat online.